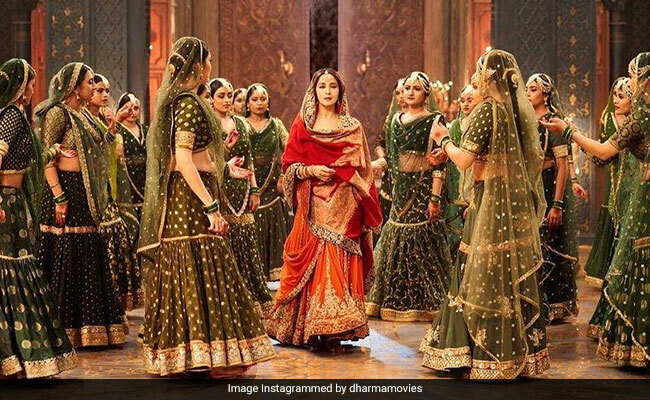 Kalank Review: The younger actors pale in comparison to Madhuri's blinding glow. Varun Dhawan stars in by far the meatiest role of his career. Opulent sets, visual flourishes, intense emotions, a luminous Madhuri Dixit who still emotes and pirouettes like a dream and a stunningly on-top-of-her-game Alia Bhatt make Kalank a near-spotless movie experience. On the surface at any rate. The film, first envisaged many years ago by the late Yash Johar, is 30 minutes too long, the Heera Mandi setting is overly spick and span, and the plot devices are occasionally unconvincing. However, writer-director Abhishek Varman keeps the propensity for excess largely contained within a firm structure, which ensures that even in its less-than-perfect moments the film does not come unstuck. The production design (Amrita Mahal Nakai) and the cinematography (Binod Pradhan) are impressive while Varman orchestrates the resources at his disposal - they are no doubt enormous - with flair and a sense of proportion. If only the latter attribute had been extended to the film's length, Kalank would have shed some of its flab. We hear KL Saigal's voice on the soundtrack ever so faintly in one passing sequence and a couple of classically-inspired numbers designed to evoke the soundscape of a tawaif's home of an era gone by, but the rest of the film's music - be it the admittedly lively songs or the elaborate background score - is not exactly rooted in the period it is supposed to represent. The tantalising tale of forbidden love and its repercussions set in the subcontinent's turbulent past encounters massive wobbles along the way and yet never ceases to be mesmerizing. Kalank overreaches and revels in the act. In its failures lie its allure. It is akin to a misfire that makes enough noise of the right kind so as not to be dismissed as mere waffle. The film harps upon love in the time of hate. 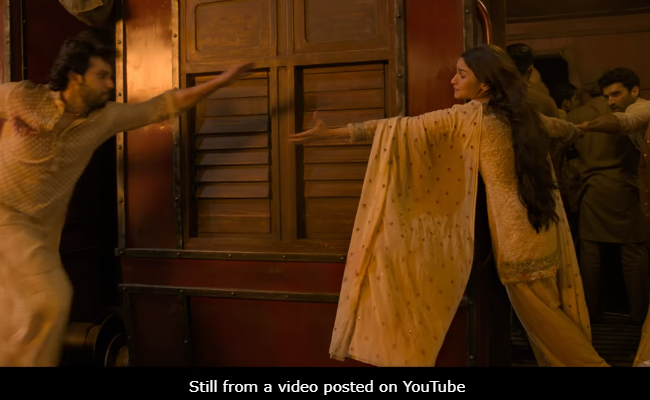 Many images hinge on ornate doors and windows being slammed shut or being thrown open as trapped characters - especially the two pivotal women of Kalank, a reluctant second wife and a courtesan who has seen it all - seek to connect with, and grasp the essence of, the world outside, no matter how hostile it is. The vastness of the canvas and the film's abundance of overt dramatic sleights dwarf the politics and the psychology that run as undercurrents through the narrative. Set in the mid-1940s, they touch upon growing unrest among the Muslim blacksmiths of Lahore's Heera Mandi in the face of the threat of mechanization and the antipathy that it breeds between them and a newspaper editor who advocates the advent of iron and steel factories and writes leaders championing an 'ek qaum ek awaam (one nation one people)' theory. You want desperately to get up close and personal with the characters on the screen, feel their pulse, hear their breath, and gain a deeper sense of their sighs and sorrows, but the film's overwhelming surface gloss becomes an impediment. It prevents any direct connection from taking shape between an audience dazzled by the beauty of the visual compositions and the tormented dramatis personae seen in the tainted light of an unhappy dawn. They come and go looking strikingly beautiful and sounding disarmingly bewitching even when they are down in the dumps. Although Hussain Dalal's dialogues are generally clean and crisp, the characters who speak the lines rarely leap out of their shiny cloaks to become tangible individuals capable of communicating the raw feelings that the period - the tumultuous, violent years leading up to the Partition of the subcontinent - should instantly evoked. 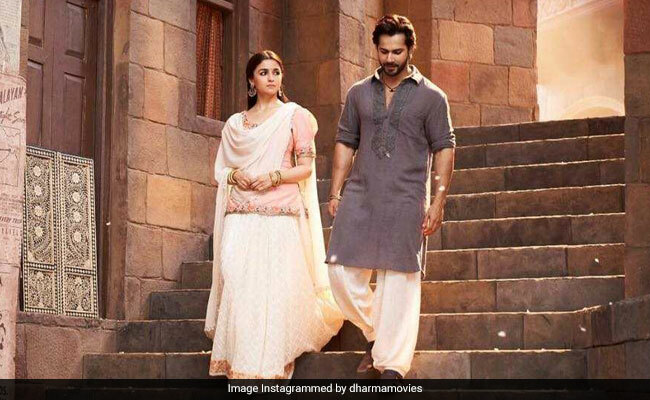 Kalank is technically a multi-starrer, but for a Rs 80-crore production it does not have the sort of crowd-pullers who can assure a bumper opening. So what the film does, and does pretty well, is rely on the power of the image to hold our attention. In a way that is more Sanjay Leela Bhansali than Karan Johar, it conjures up a world where artists and artisans collide over their divergent approaches to life and love. 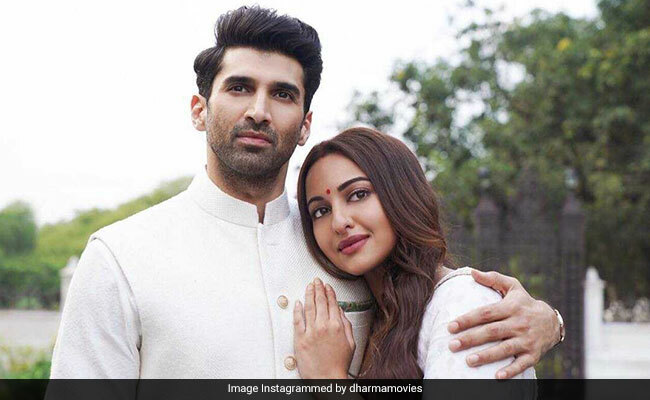 The film's opening scene - it plays out in 1946, in fictional Husnabad on the outskirts of Lahore - introduces us to a terminally ill woman Satya (Sonakshi Sinha), who is worried stiff about what will happen to her newspaper editor-husband Dev Chaudhry (Aditya Roy Kapoor) once she is gone. I am dying, she tells her doctor. She follows that up with a question: "Mere pass kitna waqt hai (How much time do I have)?" It is delivered with such nonchalance that she could well have been asking a family help: "What's for lunch?" Cut to two years earlier. Satya is at the door of an ageing neighbour in her native village in the Rajputana region. The man is a classical music guru who could do with a largesse. So he agrees to allow his daughter Roop (Alia Bhatt) to travel to Lahore and live with Satya and her husband. The idea is to let Roop ease into the household before the ailing woman breathes her last. 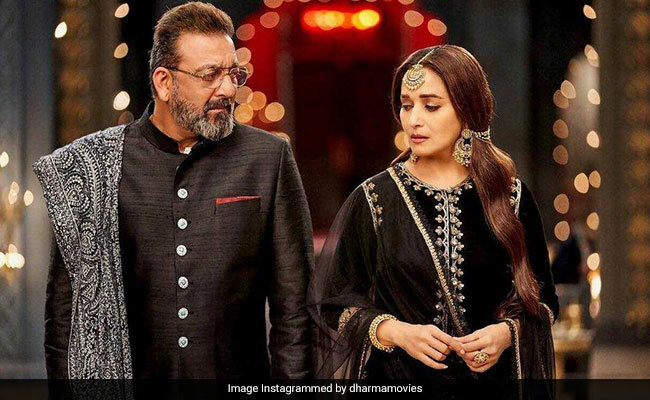 The young girl is no pushover: she insists on a formal betrothal before she relocates to the Chaudhry home, where a feudal patriarch (Sanjay Dutt in an extended special appearance) can only look on in bewilderment as his daughter-in-law plots her husband's future. If you can believe this part of the story, the rest of it is a breeze. Not that the subsequent crucial reveals come tumbling out in a torrent. They assume the form of a trickle instead. These twists revolve around an evergreen courtesan Bahaar Begum (Madhuri Dixit) and a feisty ironsmith, Zafar (Varun Dhawan), whose destinies are inextricably linked owing to a secret that puts them on a collision course with the senior Chaudhry. An illicit relationship, an illegitimate child left to fend for himself, a quest for vengeance and another relationship that blossoms across class and communal lines are the cornerstones of this bit of the plot, which precipitates a protracted, bloody climax in which Zafar's close friend and political activist Abdul (Kunal Khemu) assumes a key role. Almost three hours long, Kalank is inevitably a touch stretched at times. However, the actors, not the least Varun Dhawan in what is by far the meatiest role of his career, throw everything that they can muster into the mix, giving the plot both potency and pathos. Playing a young man scarred in spirit and body, Dhawan exudes zest as he ventures well beyond his comfort zone and consistently strikes the right notes. In the blinding glow of Dixit's presence as a nautch girl who can turn on the magic at will, the younger cast members pale somewhat in comparison. That isn't necessarily a reflection on their abilities. The veteran actress lights up the screen as only she can, pushing the others to strive harder. However, Alia Bhatt does not break a sweat in making her presence felt. Sonakshi Sinha, too, makes the most of the limited scope the screenplay offers her. Aditya Roy Kapoor is saddled with the most sedate of the male roles. Restraint is what helps him stand out.